It was a stroke of good fortune to grow up in a home full of books where reading was a normal everyday activity. My eleven plus pass and later career owe much to the simple fact I became a regular reader early on, even though the first thing I ever managed to read fluently was a comic called ‘Knockout’. I’m sorry to have to admit that my dad’s dark brown bookcase of around a hundred books, his set of Dickens in their separate bespoke bookcase, and my two grandfathers’ similar sized libraries, could not match the temptations of brightly coloured comics. One pair of my grandparents had a small shop where they sold a few newspapers, and so I had regular access to Dandy, Beano, Knockout, Film Fun, Radio Fun, The Eagle, Swift and Topper, and the black and white British versions of the American DC comics Batman, Superman, Flash and Green Lantern. 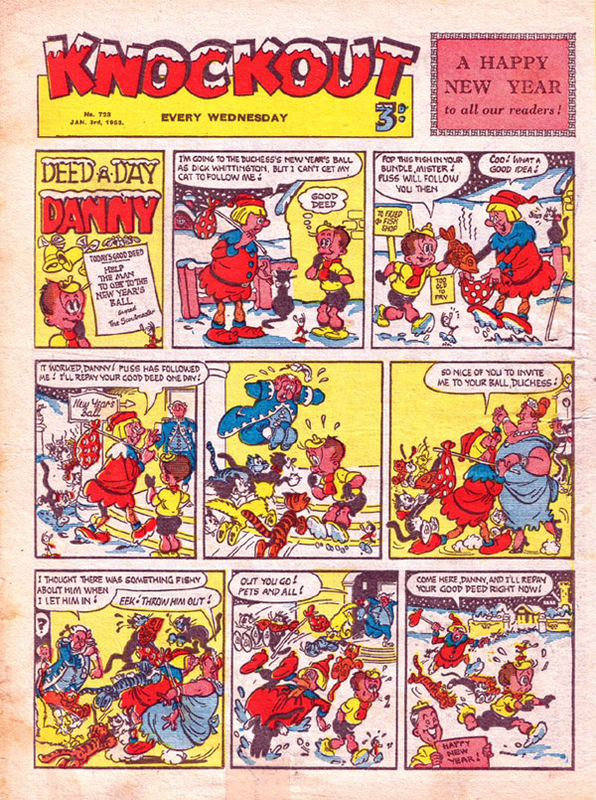 Instead of growing up with great writers such as Charles Dickens, Robert Louis Stevenson, Kenneth Grahame and C. S. Lewis, as we are told every aspiring author should, my earliest literary models were the likes of Desperate Dan, Korky the Cat, Dan Dare, Beryl the Peril and Deed a Day Danny. The comic-strip personas of Laurel and Hardy, Terry Thomas, Arthur Askey, Charlie Drake and Benny Hill were familiar figures long before I saw them on film or television. Wow! Hmph! Yikes! Blam! - it never affected my language development. But in time there were books I came to treasure. The beautifully-bound Children’s Encyclopedia was one – or strictly speaking ten. This was the brainchild of Arthur Mee (1875-1943) who originally published it in fifty fortnightly parts at 7d (seven pence) each, beginning in 1908. It was subsequently expanded and published as a whole, translated into most of the world’s leading languages, and sold in the United States as ‘The Book of Knowledge’. Our ten-volume set had been bought for my dad and his sister in 1927. The encyclopedia made Mee’s name and fortune. He had started out as a journalist at fourteen and risen to editor of the Nottingham Evening News by the age of twenty. He then moved to London to work on various national newspapers and periodicals, but from 1905 he turned from daily journalism to the editing of educational and reference works, particularly popular educative literature for children. When he died in 1943 he was worth £43,500, equivalent in purchasing power to around £1.75 million today. “And this is the book she cried for,” writes Mee. 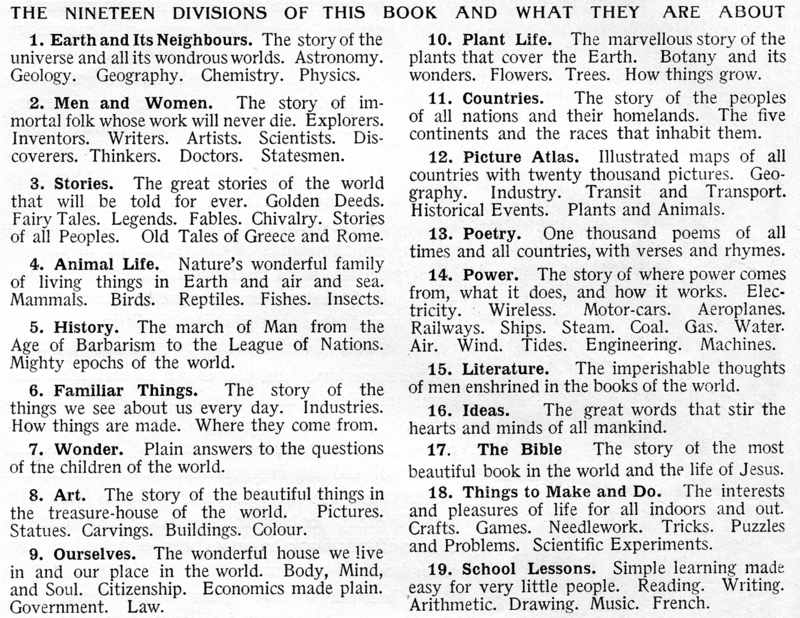 The encyclopedia is arranged into fifty-seven chapters of nineteen divisions each (although some chapters omit some divisions in later volumes, and the terms ‘chapter’, ‘division’, ‘group’, and ‘section’ are used inconsistently). Again, though, I wish I had paid more attention to the whole. I mostly ignored the literary and arts sections, little more than glanced at the geographical bits, and spent only slightly more time on the science and industry divisions. The most-thumbed pages reveal I spent most of my time in division 18, ‘Things to Make and Do’. 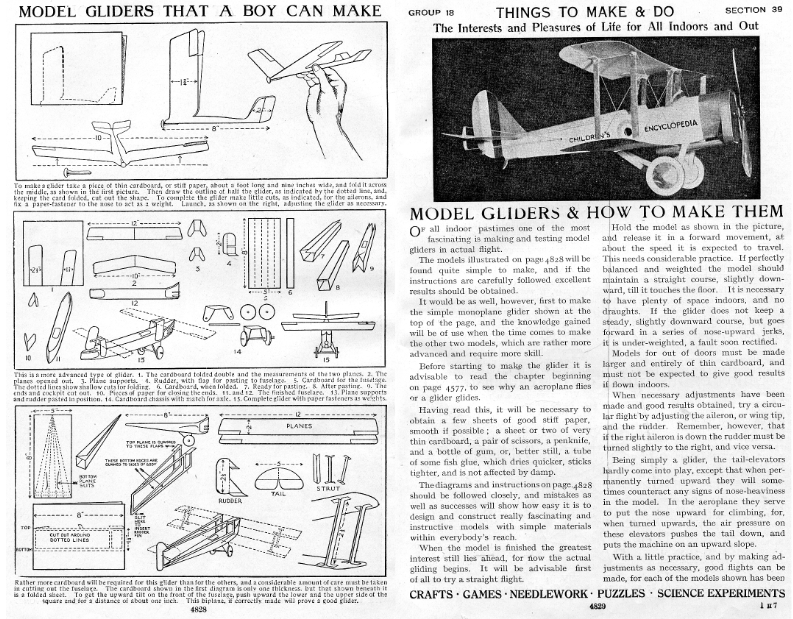 I taught myself to tie knots, made model gliders (the heading implies only boys can make them), tried to learn morse code and semaphore, and experimented with invisible ink and pin-hole cameras. This stuff is timeless as demonstrated more recently by Conn and Hal Iggulden’s best selling book ‘The Dangerous Book for Boys’ (2006) which recycled the same kind of material (as did the follow-on cashing-in-on-a-good-idea daring book for girls, and the dad’s and mum’s books for the dads and mums who are best at everything). I’m not convinced though that the dangerous and daring books were quite as dangerous and daring as Arthur Mee’s encyclopedia. If the instructions on how to make an assagai spear* don’t win it the crown – it was basically a metal-tipped, flighted cane released sling-like from a length of knotted string with such lethal force that mine pierced a solid wooden fence forty-five feet away – then the drawing with the caption ‘Mohammed Dictating The Koran’ definitely settles the matter. It would be much too dangerous to post it here. It led to the encyclopedia being proscribed in the Kashmir in 1973 following riots in protest against its sale. Two Western hippies with the misfortune to be in the wrong place at the wrong time were only just saved from being murdered by the mob by the arrival of the police. Any amateur with access to a supply of wireless parts and some mechanical skill can make a simple “televisor” which will give moderately good reception. Any amateur mechanic can make the discs, the chief skill needed being accuracy and patience in marking out and cutting the holes. I’m afraid I was unable to rise to the test, lacking access to a supply of wireless parts you understand, but I probably spent as many hours poring over the hundred chapters of hobbies and handicrafts as over the whole ten volumes of ‘The Children’s Encyclopedia’. The book reminds us of a pre-television time when the maxim “every member of the family should have a hobby” went uncontested. Its content, from Appliqué Work to Wood Carving, deserves much lengthier attention, if only for its quirks – self-defence tips on how to tie someone up and how an elbow can be used to knock an assailant from a motor car running board; photographs of bad mouth opening and good mouth opening when singing; advice about what girls should wear when hiking; and instructions on how to drown or chloroform unwanted kittens in the chapter on pet keeping. The chapter on poultry keeping is much more tactful. Its standard treatment for poorly chickens is to kill them, but it doesn’t tell you how. Perhaps a few cross references to kitten drowning were unintentionally omitted. A series of posts on Estelle Hargraves wonderful blog ‘The Skittish Library’ eulogizes Sid G. Hedges book in much more detail – possibly her choice of book for that fictional radio desert island. By the time I was ten, both the Universal Book and The Children’s Encyclopedia seemed squarely old fashioned (even though revised editions of Mee's encyclopedia remained on sale until 1964). My edition of Arthur Mee did not even know about the existence of the planet Pluto (although as the guy was so clever I would not be surprised to find that he did in fact know about it, even before it had been discovered, and had decided not to include it in anticipation of later opinion that it is not a true planet). I was released from their antediluvian clutches by the appearance, in January 1961, of Purnell’s new magazine ‘Knowledge - the new colour magazine which grows into an encyclopædia’ (despite its modernity, Knowledge used the digraph spelling which had been dropped by Arthur Mee after the very earliest editions). 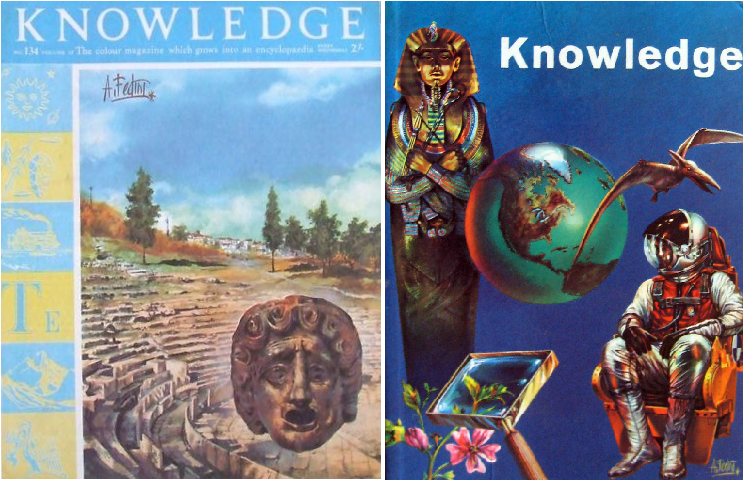 ‘Knowledge’ was a British version of an attractive Italian educational magazine called Conoscere. Every page, especially the cover, was adorned by sumptous illustrations, the most prominent signed by Alessandro Fedini. The editor, John Chancellor (1927-2014), was incidentally the father of actress Anna. The idea of a British edition had first been pitched to Fleetway publications who were the successors to Mee’s publisher the Amalgamated Press, but they turned it down fearing it would damage their sales of The Children’s Encylopedia and the related Children’s Newspaper. Purnell’s tremendous success with ‘Knowledge’ forced Fleetway into a change of mind a year later when they hurriedly brought out ‘Look and Learn’. We collected the full eighteen volumes – over four years’ worth – and although my dad was the only one to read it assiduously, some of it must have it rubbed off on me because I’m still a whizz at answering questions on University Challenge. Not so long ago there was one about the Phoenicians, the ancient Lebanese civilisation, which I distinctly recall from one of the articles in an early issue, but sadly my answer didn’t come out quickly enough to beat the student on the programme. I lugged the volumes of Knowledge around with me from one house move to another for twenty years (as well as the eighteen main volumes there was also an alphabetical guide which filled four additional slightly smaller yellow binders), but finally in a moment of rash stupidity decided they were too heavy, bulky and juvenile, and left them in a loft in Hull. They might still be there. 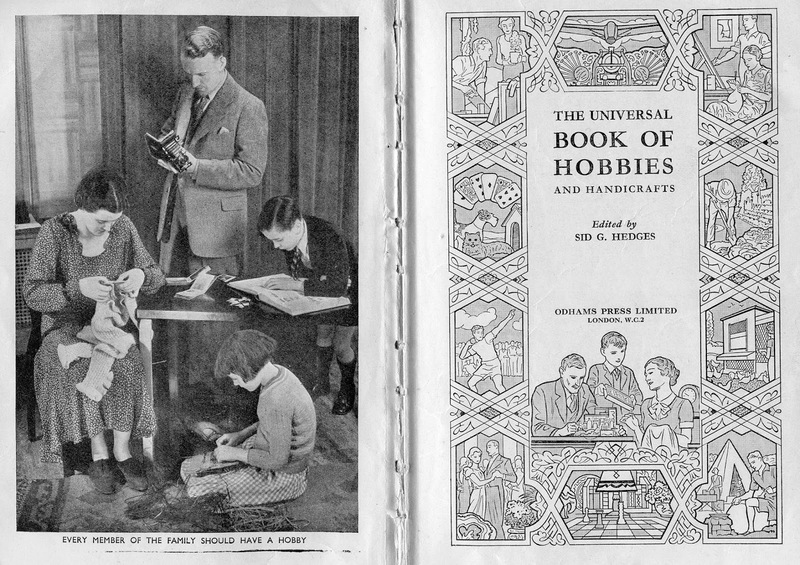 Fortunately, thanks to my dad and his dark brown bookcase I still have ‘The Children’s Encyclopedia’ and ‘The Universal Book of Hobbies and Handicrafts’ (and the bookcase). * I was certain the assagai spear was in the encyclopedia, but having searched through again I can’t find it, so perhaps it was somewhere else. ** I have now sought redemption by creating a Wikipedia page for Knowledge encyclopaedia. The images reproduced in this post are believed either to be out of copyright or cover images permitted as fair use under copyright law. Fantastic blog, I really enjoyed that. Nice to meet a fellow lover of the Universal Book of Hobbies and Handicrafts - that book started my love of old books. It encouraged me to try out loads of things - I've just remembered when I was about twelve I even tried mushroom growing - managed to get the compost and some boxes and was going to make a fortune by selling them, but I think the shed must have been too hot because hardly any came up. I remember those books. Thanks for the memory nudge. I could say loads more about The Children's Encyclopedia and it's very tempting to pinch Esther's Skittish Library concept of drawing attention to selected quirky content, although it would be mean to do it regularly. Pity they don't train you how to place promo links on others' pages. All links in comments are disabled on this blog.